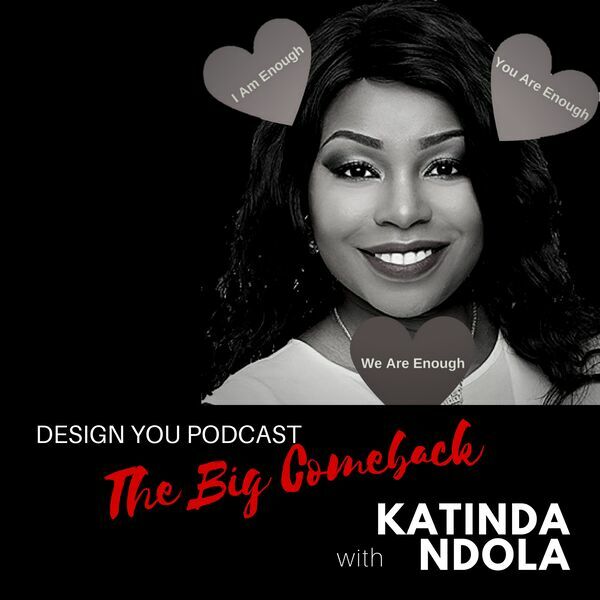 Katinda Ndola is an author of the upcoming book ‘The Big Comeback’, motivational speaker, mentor/coach and a passionate advocate in personal development and human potential. She teaches people how to wake up inspired ready to tackle the challenges in life and work, feel trusted and valued throughout the day, and return home feeling fulfilled, like they have contributed to something greater than themselves. Her ideas are not conventional. She awakens your power within and has practical ideas and strategies to help you on your personal development journey. Make a big comeback as Katinda and ‘Tina chat about learning from our past. All content © 2019 Design You Podcast.